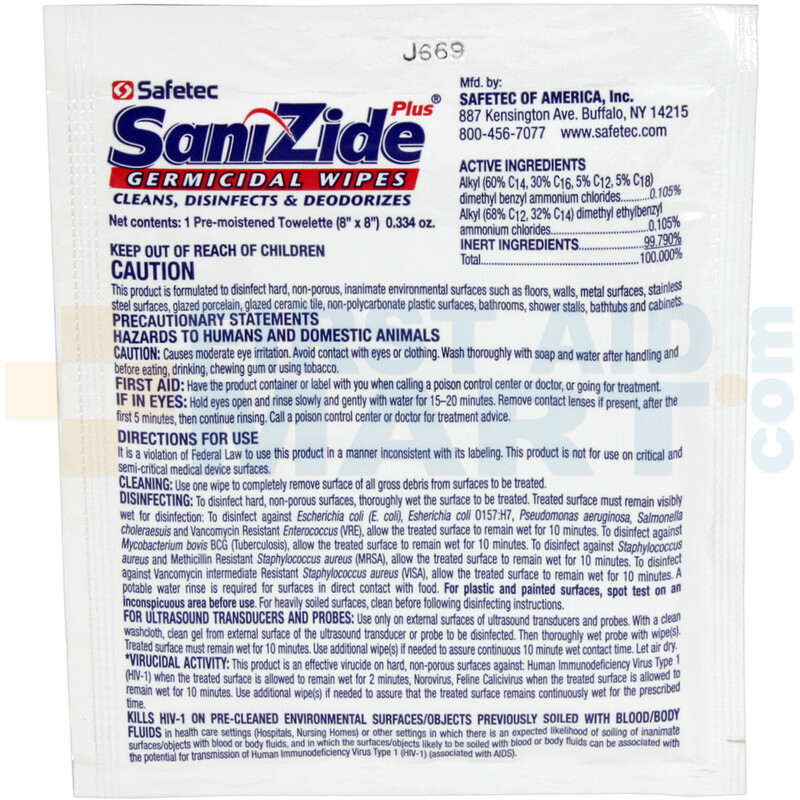 SaniZide Plus® Germicidal Wipes are the newest addition to the Safetec arsenal in the War Against Germs. Our pre-saturated hard surface wipes kill TB, MRSA, VRE, E Coli and more in 10 minutes and HIV-1 in 2 minutes. 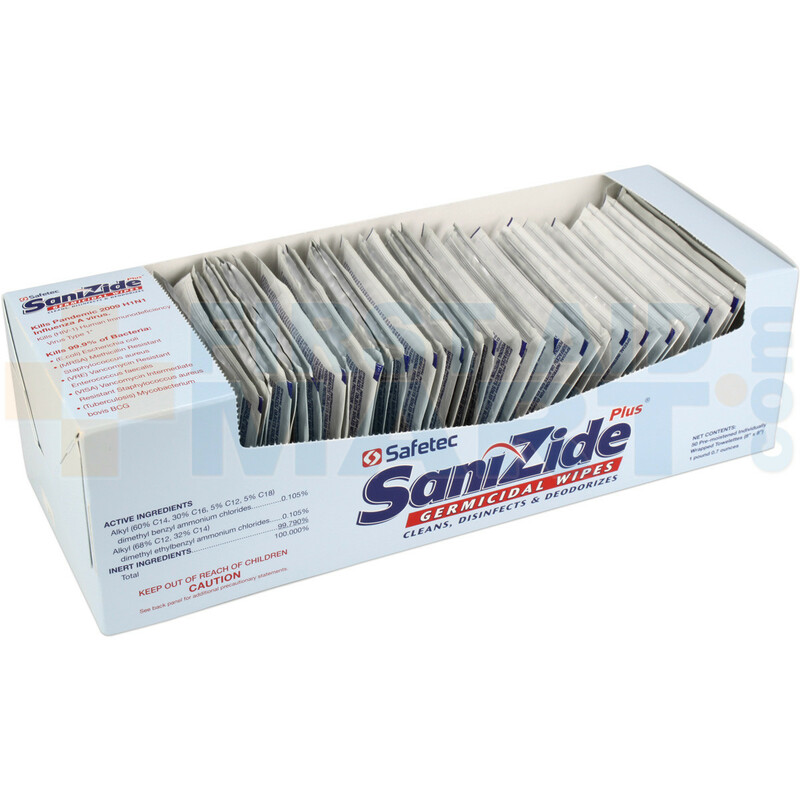 When you reach for a SaniZide Plus® Wipe you get a wipe that is clean wipe after wipe. 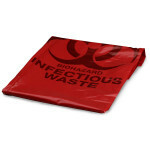 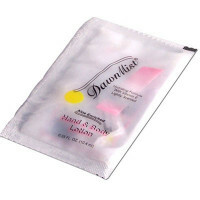 Our towelettes leave behind virtually no lint or particles to scratch or contaminate surfaces. 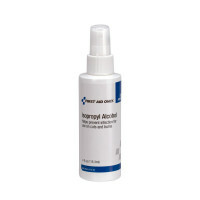 Our dual quat, alcohol free formula is non-flammable, safe to ship and non-corrosive on surfaces. SaniZide Plus® wipes are ready-to-use, convenient and user-friendly. 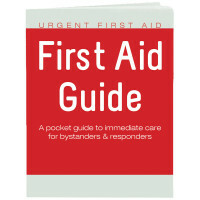 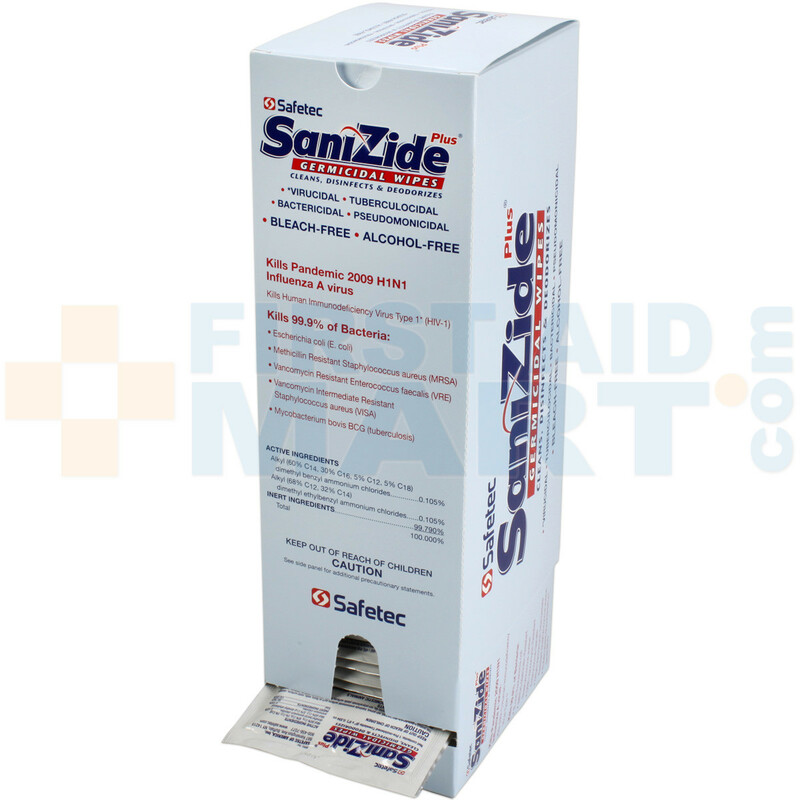 For Use On: For Use On All Hard, Non-porous Surfaces Normally Treated With A Disinfectant. 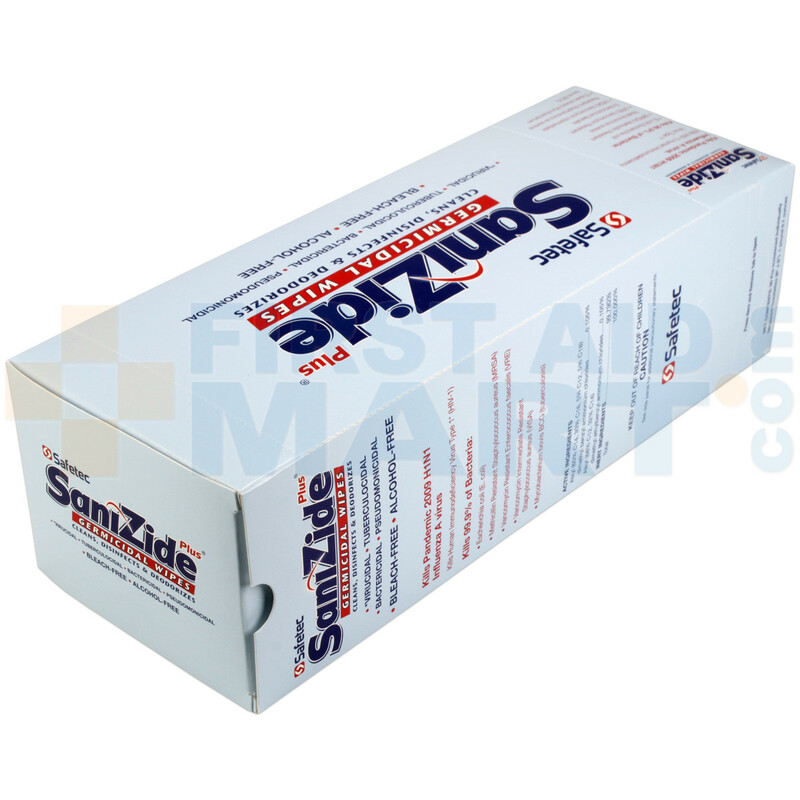 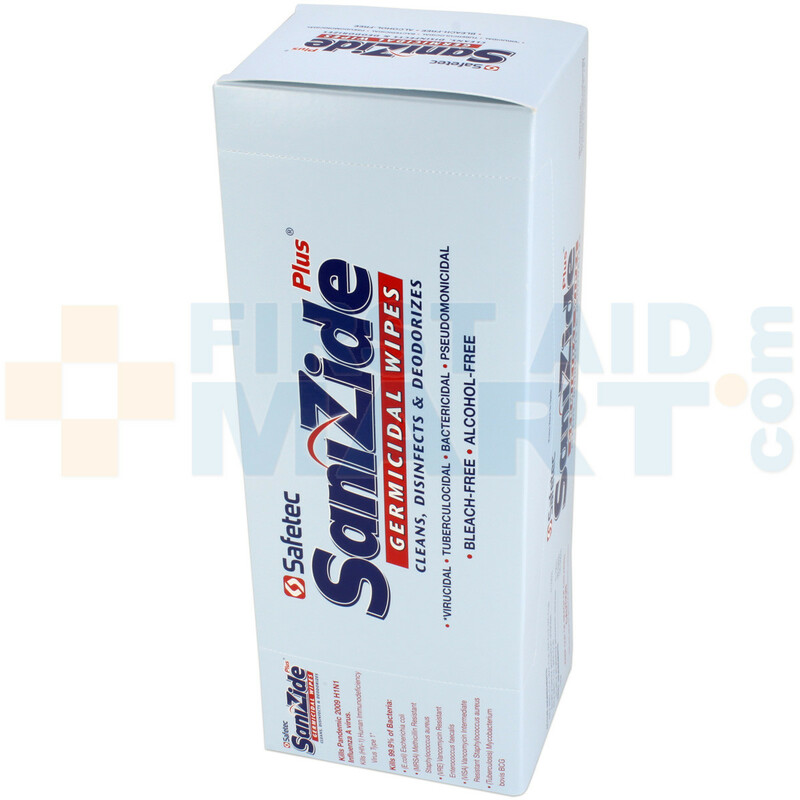 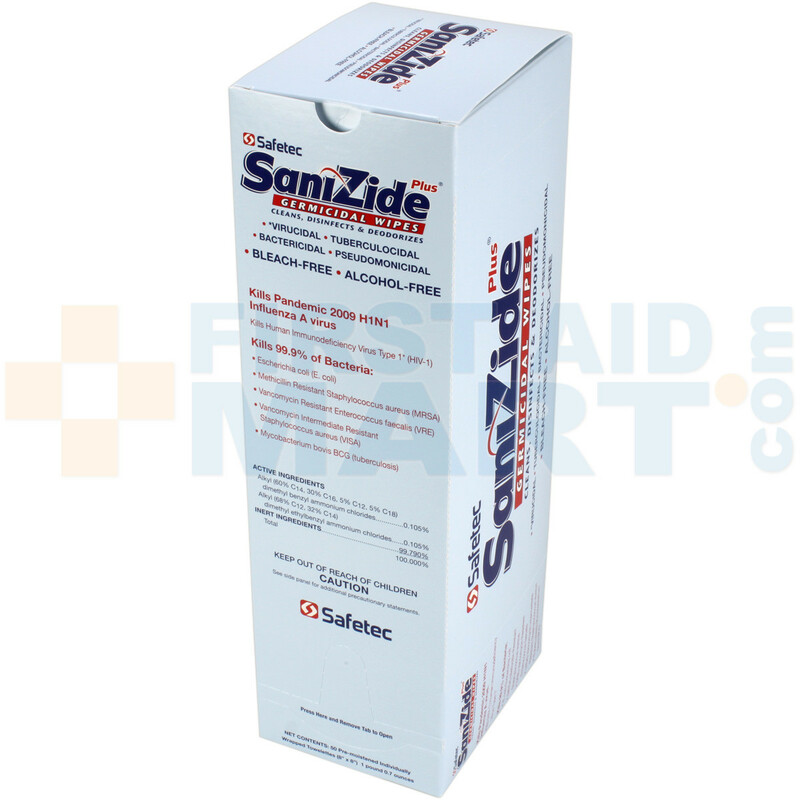 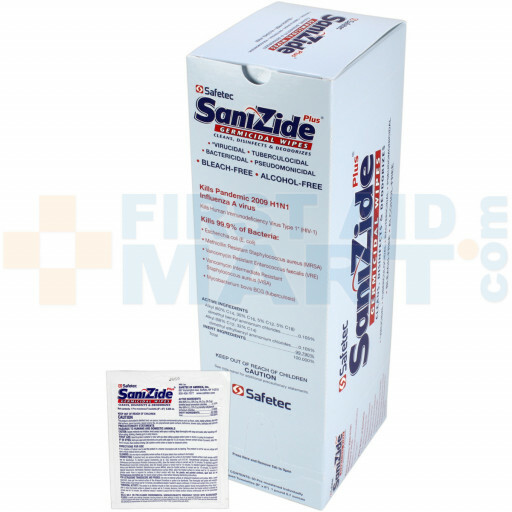 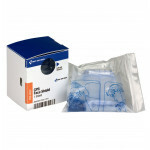 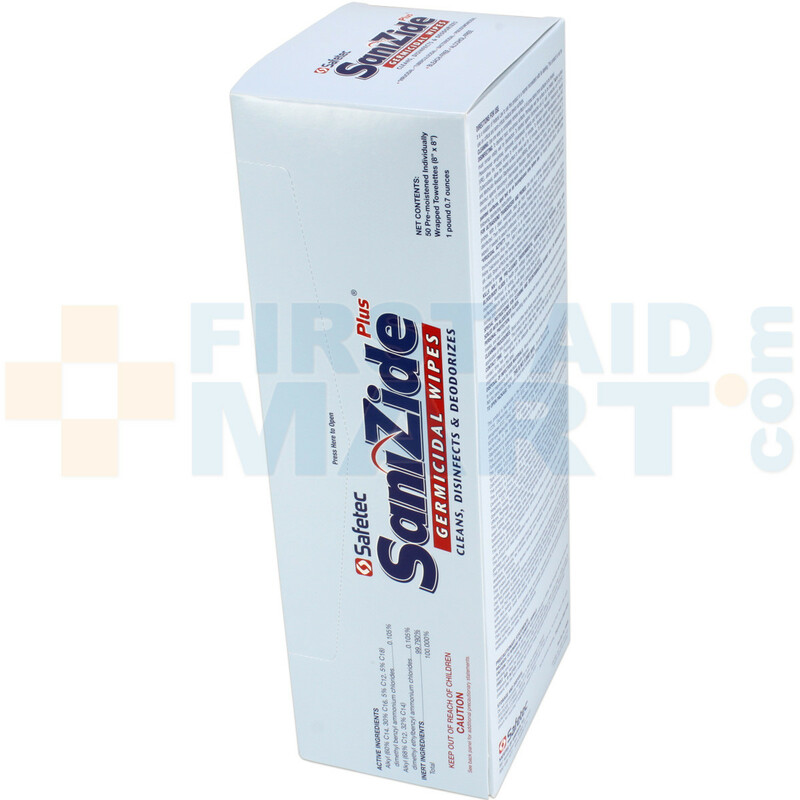 SaniZide Plus Germicidal Wipe, 50 Per Box - M905.